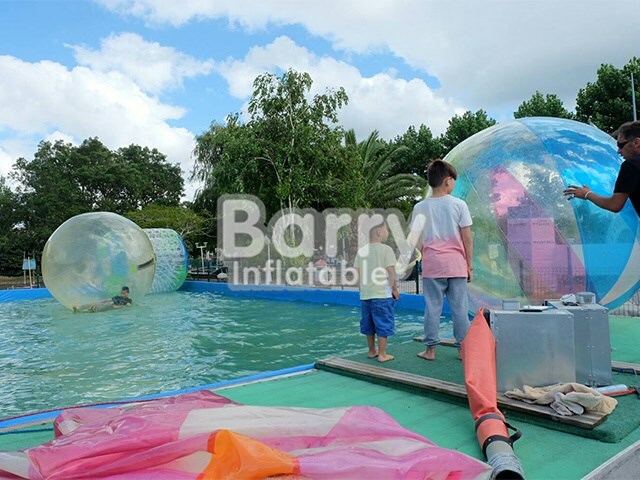 Giant Inflatable Balls - walking ball - Transparent Big Size Inflatable Water Walking Balls Playing In Pool BY-Ball-019 - Guangzhou Barry Industrial Co., Ltd. 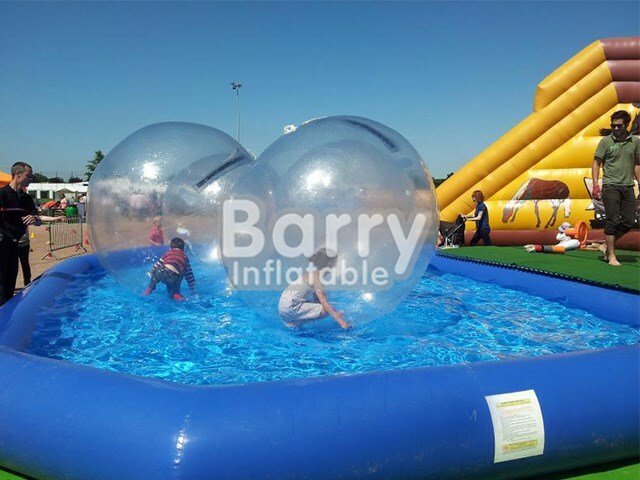 The water balls or dance balls have enough breathable air volume inside the sphere, for a normal person to remain inside for around 20 minutes, without the need to refill it with fresh air. It can be used on water as a game or amusement device. 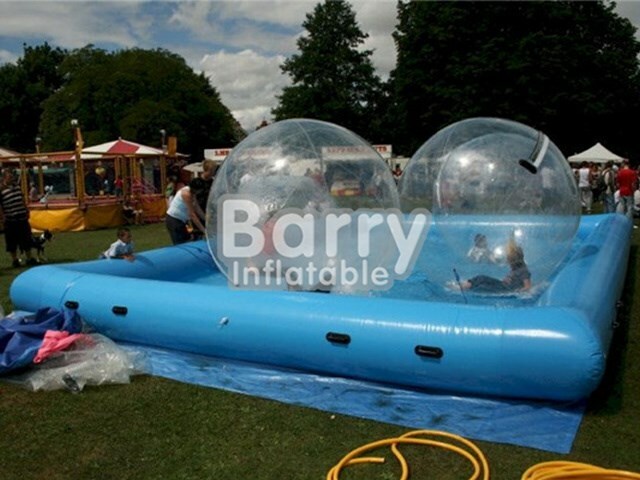 Which allow the rider inside the internal ball, It's a safe, fun and exciting experience for all ages. You can walk on the water or swimming pool! 5. Durable magic tape both outside and inside the zipper so that foot will not step on the zipper directly. Q2:What's the material of the ball? A:Plato PVC or TPU for option. Q3:Is the pump(air blower) included? A:?Not included, if you need it, please buy it additionally. Q4:Is there any guarantee for the products? A: 1 years?Quality guarantee to avoid your after-sale-service risk and free repair kit. Q5:Is it possible to print anything on the balls? A: You can press numbers and your own logo.